Robust Rose Hip Ketchup is the perfect way to store a little of summer for winter enjoyment. The flavor is a nice touch with most roasted meats and will add a nice touch to your Thanksgiving table. I like to think of this rosehip recipe is the thriftiest of the thrifty because basically, you’re using something that is just sitting there, unused. Rose hips are free for the taking, why not make something delicious? And talk about vitamin BOOST, I dare you to get scurvy knocking back some of this every week. Seriously. Rose hips are one of the best sources of vitamin C around if used fresh that is. Drying can destroy some of the vitamin C in rose hips. To store the ketchup you will need to either use a hot water bath OR store it in the refrigerator. If you choose the hot water bath make sure you have jars and lids ready beforehand so you can move smoothly through the cooking and canning process. I also overcooked mine, assuming it would get very thick in the pan, it did not. This recipe makes more of a jelly-like Rose Hip Ketchup, which is fine by me. I like to think of this kind of recipe as the thriftiest of the thrifty because basically, you're using something that is just sitting there, unused. Rose hips are free for the taking, why not make something delicious? Like Rose Hip Ketchup, which is actually more jelly-like. Rose Hip ketchup is spicy, sweet and tangy, I love it dolloped on my sandwiches or for dipping homemade chicken strips into. And OH SO THRIFTY! 1) So yes to answer a question, you can use wild rose hips.  The ones pictured and used in this ketchup were rugosa rose hips, the tame perennial rose of Alaska. Wild roses have smaller hips so you would need to collect more of them to fill a quart jar but they are perfectly delicious too. 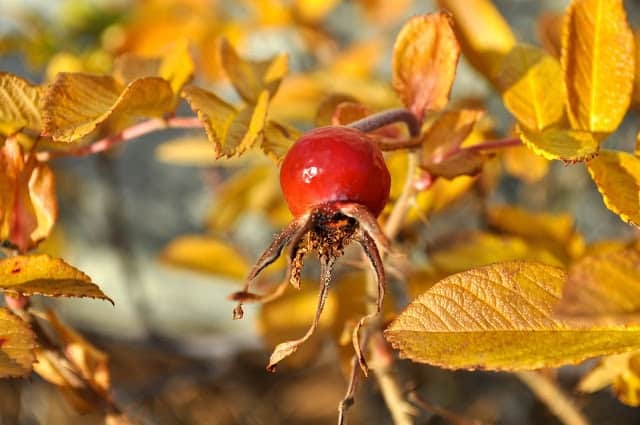 2) Be careful with rose hips, the hairs on the seeds can aggravate the digestive system. Careful straining will get them all. 3) If you plan to glean your rose hips from somewhere besides your own property please do make sure foraging is ok. Most places won’t mind but some may want to keep the winter color OR save them for the birds. Where ever you collect from be sure to thank the plant and save some of whatever you are collecting for other animals. I'll have to save this for next year, it looks great. 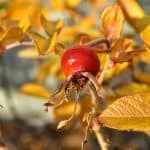 Your photo is of a Rugosa Rose bush, have you tried it with wild rose hips? Yes they are rugosa roses. I have used both wild and tame rose hips in many recipes. I use what I have when I'm working. The rugosa have a lot of flesh to them so I like them a lot. Wild are wonderful too I was out of those pretty quick this year. Excellent information Laura because I have a big Rugosa bush and often wondered if the hips could be used for cooking. Thank you!! I think I'll try making some this year. Thanks! Should I drain then mash or leave the water? You should cook it down, strain it, and use the resulting juices to make your ketchup! Discard the pulp, the hairs can hurt your stomach. How much juice do you need? I drained the mash overnight and don’t have very much juice. How much juice or what is the sugar/vinegar proportion to the juice?